Do you want to learn how increase your intuitive abilities and how to be more connected to your inner guidance? These audio files are perfect for you. 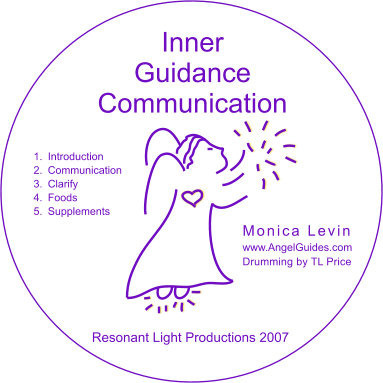 These meditations are narrated by Monica Levin, drummed by Tom Price, and produced by Resonant Light Productions. These audio files will be made available once your payment has been processed. You will be sent an email with download instructions.